Co-Founder and Design Principal of Marc-Michaels, is a leading authority on home fashion and interior design. A graduate of Rollins College, Marc began working in the design field in 1983. 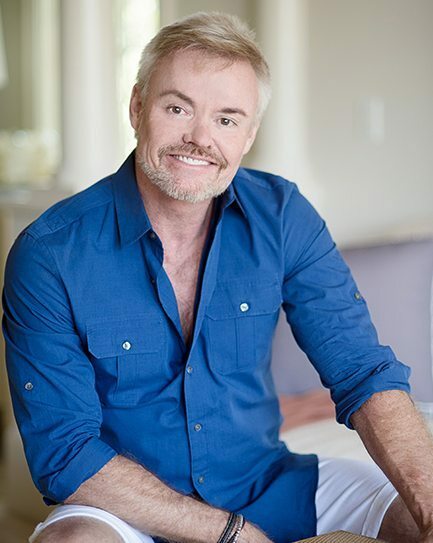 In 1985, he co-founded Marc-Michaels Interior Design, Inc. along with Michael Abbott. Design is truly second nature to Marc, and his focus is primarily on high-end residential and commercial projects. He is solution-driven and believes the best tool in any situation is a smile. Marc travels extensively around the world to a variety of project sites where his expertise is in high demand. Marc has also donated his time and talents to many charitable events. A talented speaker whose annual appearances at trade shows lead to sold-out audiences, Marc has also made multiple television appearances. After 25 years of designing luxurious homes and boutique hotel projects, the demand for his talents inspired Marc Thee to create his signature line of home furnishing collections, and is currently pursuing innovative opportunities to bring his perspective on design into the marketplace. Marc recently completed his first Designer Branded Residence which sold for a new record in Palm Beach. He is working on his next masterpiece in Orlando, FL and hopes to continue creating Branded Residences with one-of-a-kind design details that represent an easy carefree lifestyle that nurtures the soul.